Music, Wine, Appetizers & Fun time with Friends!!! M. Tseitlin - Suite from "Circus 1937"
Proceeds raised from this event go to the Rancho Santa Fe Rotary Foundation. Since 1959, the Rancho Santa Fe Rotary Club has been dedicated to helping others in the community of San Diego, Our Country and Throughout the World. 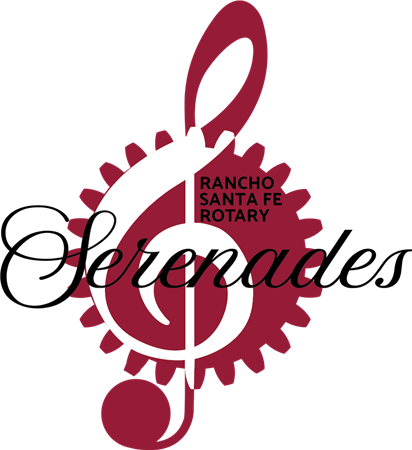 Our club’s philanthropic work is accomplished through our own Rancho Santa Fe Rotary Foundation, a 501(c) 3 a non-profit foundation. Annually we serve various causes, our brave soldiers past and present, USO families, ending hunger, less fortunate children, foster children, the elderly, cancer patients and their families, patients with other unfortunate health challenges, animal causes, young aspiring musicians, dedicated students through scholarship opportunities both domestic and abroad, victims of natural disasters including their displaced pets as well as many others needing a helping hand. “Service Above Self” is not just our goal, it is the way we live our lives.